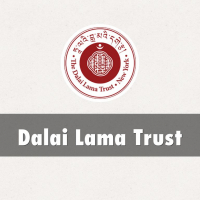 "The Dalai Lama Trust was founded in 2009 by His Holiness the 14th Dalai Lama to support the activities of individuals or institutions working for the welfare of the Tibetan people, the advancement of the culture and heritage of the ancient civilization of Tibet, and the promotion of the deeply rooted values associated with it."" The Dalai Lama Trust is funded by charitable contributions made by the founder and by the public. The Trust is a U.S. nonprofit charitable organization registered in the State of New York. It is governed by a board of trustees, chaired by the founder. "